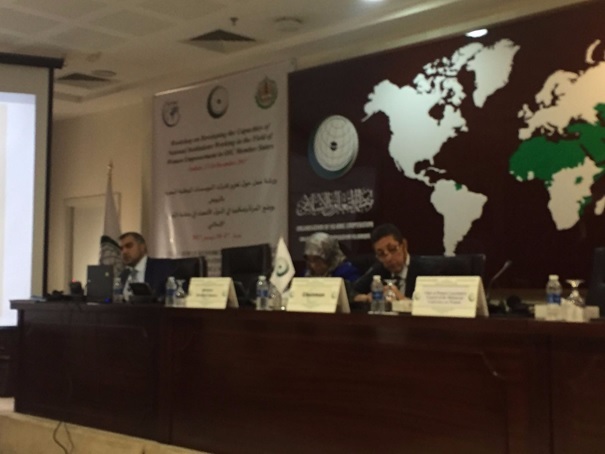 Within the framework of promoting women’s status and empowerment in OIC Member States, the OIC General Secretariat in coordination with SESRIC and IDB organised the “Workshop on Developing the Capacities of National Institutions Working in the Field of Women Empowerment in OIC Member States” on 17-18 November 2017 in Jeddah, Kingdom of Saudi Arabia. 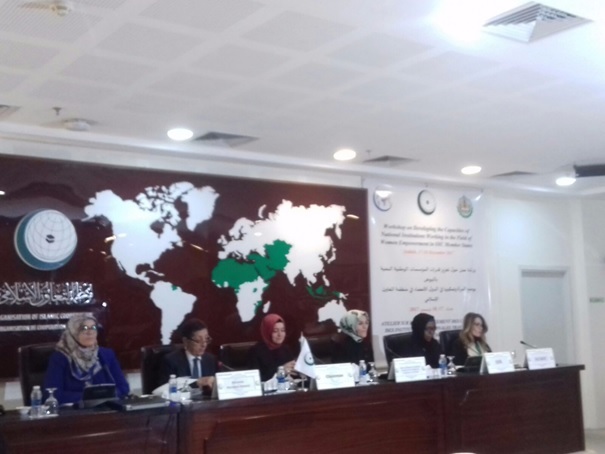 The workshop provided the national institutions from the OIC Member States a distinct opportunity to discuss and deliberate on the recent developments in the domain of women empowerment in OIC Member States. In this regard and through discussing the adopted OIC Plan of Action for the Advancement of Women (OPAAW), the workshop identified the major and common challenges and obstacles facing the national institutions working in the field of women empowerment in the OIC Member States; and provided them with opportunities of cooperation with the leading OIC institutions in the field. Furthermore, the workshop provided a great opportunity for exchanging and sharing knowledge, experiences, best practices and models with a view to improving the well-being of women and addressing their common challenges; providing guidelines to unify the methods and standards of drafting and submitting the reports to the OIC General Secretariat on the implementation of OPAAW as well as facilitating the participants networking for future cooperation and exchange of expertise.